Katie Cleage was my slave from the time she was about 13 years old until she gained her freedom. She had two children while she was my slave, but I know of no marriage by her to any one. Philip Cleage was one of our servants, but I know of no marriage between these two parties. I know of no cohabitation between these parties. We owned a hundred slaves at that time, and I know but very little of any of them. Katie was employed as a seamstress by us, and Philip was our coachman. Philip enlisted in the army and came to Chattanooga, and Katie came here also. I do not know who came first. Philip came back to see us after he had enlisted, but Katie had left in the meantime. I know nothing of either of them after that time. I know of no marriage or cohabitation between them after they left our house at Athens. I have seen Katie occasionally since the war. I know of no children Katie has had since the war. It is since the soldier Philip died of smallpox during the war, I guess it was. I have understood the questions asked me, and the answers to them have been correctly recorded in this deposition. 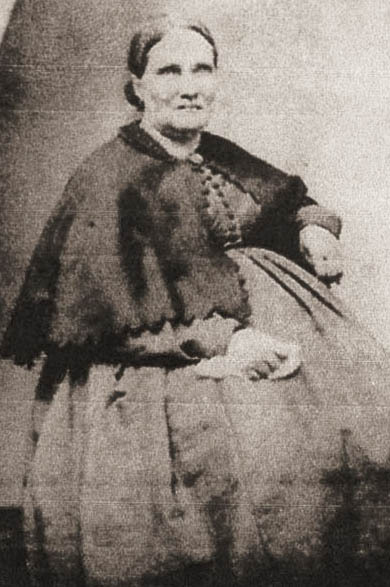 Jemima Hurst married Alexander Cleage in 1832. She brought with her four enslaved people. Their names were Anny, Judi (my 2X great grandmother), Jane and Matilda. Juda and Frank were my 2 X great grandparents. Lewis was my great grandfather. It gives me some comfort to know that they had been free for almost ten years by the time Alexander Cleage died in 1875. I found the information for this post in Katie Cleage’s Civil War Pension file, on ancestry.com and familysearch.org. I am the widow of Alexander Cleage deceased, late of Athens, McMinn County, Tennessee. I recognize the applicant, Katie, as one of our former slaves. My husband purchased her when quite a child, 13 years old, from my brother Russell Hurst – we then resided on a farm about 3 miles from Athens and my brother’s farm was about 6 miles distant. All the ceremony at that time necessary for slaves to marry was the consent of the owners. I think it was in December 1862, Katie was delivered of a stillborn child. And again in December 1863 of another stillborn child. And I was present at the birth of both children. In December 1863 Philip left us, all the slaves having been liberated by proclamation of the President, and I heard that he had joined the army. Katie remained with us some 8 months after Philip left us and then she went off. I further state they both were very young and had not been previously married and I have never heard that she remarried. She was always a good clean girl and I kept her in the house to sew. I know what I here state from personal recollection. I have not seen her for a long time. And I further declare that I have no interest in said case and am not concerned in its prosecution. I found the information for this post in Katie Cleage’s Civil War Pension file.